Please click on a question below to view the answer. If you can't find the answer to your question, please contact us on 0121 323 3281 or click here to contact us by email. Not all complaints will respond to physiotherapy. 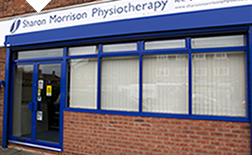 If after assessment it is considered physiotherapy is inappropriate or treatment is not providing relief we will refer you on for more appropriate treatment or investigation relevant to your complaint. No you do not need to be covered with medical insurance to use our services. The clinic is registered and recognised as a physiotherapy provider with most major health insurance providers. It is recommended to contact your Private Medical Insurer to establish their protocol in the claims procedure to ensure your claim gets covered from the onset of treatment. What will I expect from the first visit? A detailed history and assessment to establish treatment goals and treatment plan will be conducted on your first visit. How long will I need for the first visit? How long are the follow up treatments? To enable an accurate assessment to be conducted, your assessment will necessitate adequate removal of clothing of the area(s) to be assessed and palpation from your practitioner. Please bring shorts if attending for a back or lower limb injury. It is advisable to bring your regular activity footwear (and orthotics if applicable) if you are attending for a back / lower limb injury. For upper limb injuries females may be more comfortable in a vest. If you would feel more comfortable bringing a friend or family member with you to your appointment you are most welcome. Minors (under 16) MUST be accompanied by an adult. After initial assessment your physiotherapist will discuss with you how many treatments will be necessary to achieve the goals required that you have set out in your assessment. Many patients attend for a one off consultation, programme and advice. The clinic average number of treatment sessions for the year ending 2013 is between 3 - 4. This will be determined by the nature of the injury and will be discussed with you by your physiotherapist. If our team don't have the solution we have fast track access to a network of specialist consultants, x-ray and scanning facilities, and multidisciplinary team members that we can refer you to. Self payers - payment after each session. How do I check if my physiotherapist is chartered and state registered? All members of the team are chartered and state registered. This can be checked by clicking on the relevant logo below and follow the onscreen instructions for viewing the professional required. We do not operate a waiting list. We can generally offer you an appointment within 48hours and will try and accommodate urgent requests on the same day. If you wish to book an appointment, please contact us on 0121 323 3281. If the answer to your question can't be found, please contact us on 0121 323 3281 or email your query.